"To anyone interested in improving their life in any way, I would highly recommend anything that Steve G. Jones has created." Star of the "The Secret"
#1 Best Selling Author of "The Attractor Factor"
"This book shows you clearly how to unlock the incredible potential that lies within you." "You Can Attract It exposes and may remind you of the knowledge of the sages and more. It will make many of today's problems that seem daunting crumble underneath the ingenuity of this tool." Writer of "Superman the Movie"
"What I really love about this book is that Frank and Steve break down the different areas of life into easy-to-follow sections that you can just choose, learn, and apply." Have you ever felt as though your life is somewhat unfulfilled? Do you ever feel like you are destined to be more? Does it ever seem as though the days, months and even years are just flying by while you remain feeling incomplete? Contrarily, do you ever notice people who seem to have everything they desire with what seems like little or no effort at all? Have you ever met or known of someone who just seems to ATTRACT good luck? If You’ve Answered Yes To Any Of These Questions, Stop What You’re Doing, Turn Your Cell Phone Off And Listen Closely To What I’m About To Introduce You To. It’s called the Law of Attraction and the reason I say that I am going to introduce you to something is because whether you’ve heard about it in the past or not, I can almost guarantee that you’ve never been exposed to the Law of Attraction in this way before. But just in case you aren’t familiar with the law of Attraction, let me explain exactly what it is. Everything in the Universe is composed of Energy of one form or another. And your thoughts are no exception. Discoveries in Quantum Physics have proven that all forms of matter and energy are attracted to that which is of a like vibration. As it applies to the Law of Attraction, you attract what you apply your energy and focus on, consciously or unconsciously regardless of whether you want it or not. In fact, the more you focus on not wanting something, you will attract it simply because you gave it life through your thought vibration. They key is to use it to your advantage by knowing what you want and letting it into your life. Seems pretty simple right? Focus on what you want and receive it, don’t focus on what you don‘t want and that stuff will disappear from your life. So why is it that so many people in the world still don’t have all the things they truly want out of life? The answer is very simple. They either don’t have the right information, or they are applying it incorrectly. In either case, the result is the same. And that is that you don’t achieve your goals and you still feel unfulfilled. And those feelings have a compounding effect. Meaning the more things go wrong, the more you focus on failure or being unfulfilled, the more of that negativity is attracted into your life. And what you’ve now created is negative momentum. And that’s a scary thing. 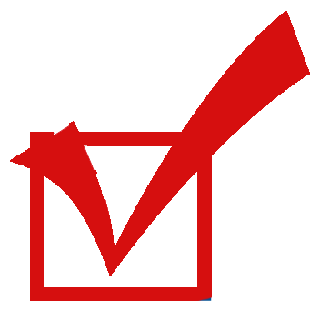 You see, momentum, by definition is the force or speed of movement as of a physical object or course of events. And it builds force as it moves. As it moves, the force becomes stronger. As it becomes stronger, it becomes harder to stop. The good news is that momentum can also be positive. And all of these same truths apply to positive momentum as well. The key is to create positive momentum. The only problem is that “key,” which usually opens all of the doors to all the answers is usually like trying to find a needle in a haystack. But They Have Also Mastered The Correct Applications And Are Living The Life Of Their Dreams To Prove It! Steve G. Jones was at the tender age of 20 when he got married to a woman that he loved deeply who had a child that he eventually adopted. Soon thereafter, they adopted another child from a distressed mother. Steve was working on his degree in psychology at the University of Florida and financially, everything was great. Things couldn’t have been better, until the dreaded day finally came when Steve got the news that would devastate him. After almost 8 years of marriage, Steve’s wife cheated on him. His world was shattered. Day in and day out, he would blame himself for what had happened and ask himself what he could have done better and what it was that drove her to cheat on him. Eventually, knowing that the marriage could not be pieced back together, they got a divorce. And it was anything but easy for Steve. To help ease the pain, Steve turned to alcohol. Drinking was the only thing that would allow him to escape from his reality. During that divorce, he lost everything that he considered to be valuable in his life including his wife, kids, pride and self respect. Aside from leaving him feeling empty inside, the divorce also emptied his bank account. He was dead broke; spending the little money he had on alcohol and finally had to file for bankruptcy. After months on end, Steve hit rock bottom. He knew that if he continued living this way, his life would end sooner than planned. He decided he had to rebuild his life. He cut drinking out of his life and moved to California with a van that his dad had given to him and $400 cash. Knowing that his drive across the United States from Florida to California would be quite long, he decided he would find a way to make every moment of that drive empowering. He treated each day of driving like one long therapy session with himself. Day in and day out, he had to motivate himself to keep going. He had to instill within himself, the hope that he could change his life around. Upon his arrival to Los Angeles, Steve took a job as a dishwasher at a restaurant. He did whatever it took to make ends meet and afford an apartment. Using his training in psychology, and his previous hypnotherapy training, he set up a small hypnotherapy practice in his apartment. At that time he was mostly hypnotizing friends at no charge. He would improve their lives by helping them lose weight, stop smoking, gain motivation, or anything else they requested. For some of services, he was lucky enough to be given a small fee. As Steve began to help more and more people improve their lives, the word spread and eventually he was in position to make money from what he did. He continued to save more and more money and eventually, he signed a lease for an office in Beverly Hills. Steve implanted within himself, a belief that having an office in Beverly Hills would attract him to a higher level of clientele which would bring a higher level of financial income. His belief proved to be correct. One day, Steve got a call from Tom Mankiewicz, the writer of Super Man, the movie. 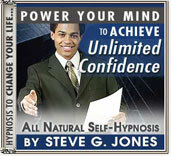 Tom wanted Steve to hypnotize him into quitting smoking which he had been doing for 45 years. Steve successfully got him to quit. And the result was similar to what had happened when Steve was helping his friends, only on a much larger scale because now he was dealing with people with big money, big demands and limited time. His office was flooded with clients consisting of celebrities of all kinds that were paying money hand over fist to not wait in line for an appointment with Steve. He went from trying to scrape up a few dollars to buy booze to trying to find enough time in one day to service all these clients willing to pay him exorbitant amounts of money to help them. He had truly reached the point of ultimate success. Without even realizing it, Steve was putting into action all of the principles involved in the Law of Attraction and he was doing it quite effectively. It was then that he began to deeply research the Law of Attraction and take all the hard data he had found on it and combine with all of his previous experience to create a unique formula which he has effectively used to drastically improve his quality of life. 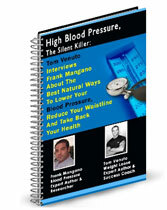 Frank Mangano is a leading health advocate who serves as the President of his own company, Mangano Publishing. He is the author of 3 books, one of which hit “best seller” in 3 categories on the largest bookseller in North-America; Amazon.com. He runs an ultra-successful website, which is dedicated to educating people about the options they have on improving their health naturally. 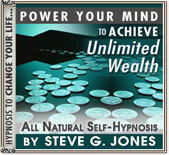 More importantly, he (like Steve) is living his dream and used the Law of Attraction to do so. I’ve personally known Frank for almost 15 years and from the moment I met him, I knew that he was not cut out to work for someone else. All he ever talked about was owning his own business and not to subscribing to the mentality that the only way to make a living is by working a 9-5 job. The only problem was Frank was dead broke. In reality, he was actually in the negative because of his credit card debt which was nearly $20,000. Unless you were born with a silver spoon in your mouth or have access to someone with a lot of money who’s willing to lend it to you, it’s pretty tough to start your own business when your broke and in debt. Frank needed money…. and fast. He took a job for a non-profit organization making $10 an hour which he kept for several years and was eventually bumped up to a whopping $12 per hour. He then took a job as a bus driver and I knew he was completely out of his element but when I would speak to him about it, I couldn’t help but notice how the influences from the negative people he had in his life at that time were rubbing off on him. As much as he said he wouldn’t subscribe to the 9-5 mentality, he did. He was being negatively influenced by those around him and he was suffering from something that many people who aren’t living the life of their dreams suffer from. It’s called limiting beliefs. And Frank had tons of them. These limiting beliefs were preventing him from living his purpose and his vision which was to build an alternative health business that would help others improve their health safely and naturally. He found himself in great conflict. He always had a clear vision of what he wanted but he also had these beliefs that were destroying his chances of making that vision a reality. For years, he lived in a state of frustration and uncertainty until one day he had decided that he’s had enough. After researching and formulating a system to lower his mother’s cholesterol naturally, he knew what he was destined to do. But more importantly, he knew he had to shatter these limiting beliefs and cut off anyone or anything that contribute to the creation of those beliefs. And that’s exactly what he did. You feel a lot better and you produce a more positive energy. The only problem is you still have some of those old beliefs lingering in your mind. Knowing this, Frank began researching and teaching himself different ways to effectively clear any limiting beliefs in his mind and applying what he learned. Within one year, he quit his job, released a book, built his own business and went from making $400 a week (before taxes) to achieving complete financial independence! He now lives in a beautiful home in New York City, drives a brand new vehicle of his choice virtually every year and never worries about money. But more importantly than money, Frank has discovered his life’s purpose and is living his dream of providing low cost or free health information to as many people as possible. Every metric of this book was designed to synergistically build on one another so that you can improve your skill level seamlessly. The end result will be true achievement. 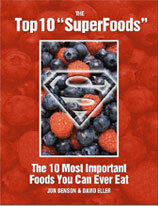 A Powerful Foreword By New York Times Best Selling Author John Assaraf! I'm also excited to announce that the powerful foreword to You Can Attract It was written by New York Times Best Selling Author John Assaraf. In the rare case you haven't heard of John Assaraf, he is one of the experts featured in the film and book The Secret, which he helped launch into a worldwide phenomenon. He has shared his expertise on achieving financial freedom and living an extraordinary life with millions of viewers on Larry King Live, The Ellen DeGeneres Show, and dozens of other media venues worldwide. 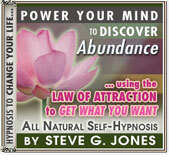 And, it isn't very often that John endorses a product or service, especially relating to the Law of Attraction. You see, John had to thoroughly review You Can Attract It before even considering to write the foreword. So you can be sure this is going to make a powerful impact if John is endorsing it. "If you want to learn how to attract virtually anything into your life, run, don't walk to your nearest bookstore and get the book "You Can Attract It" by Steve G. Jones and Frank Mangano. These guys make understanding and implementing the law of attraction so easy that anyone can do it!" Author Of "The Power Of Positive Habits"
"I got so excited as I was reading this book because for the first time, someone was explaining how to use the Law of Attraction with the depth that is necessary. As a professional Hypnotherapist, I've worked with so many people who have failed using the Law of Attraction, not because it doesn't work, but because they didn't understand how to use it. This book is like a Masters Course in the Law of Attraction. Real change comes from doing, not just knowing and Steve and Frank have cut through the fluff and created a powerful, easy to implement set of tools you can use to transform any area of your life, instantly. 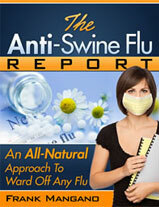 I strongly recommend you get this book, but more importantly use it." Creator of "Program Yourself Thin"
"You Can Attract It is one of the best thought-out books on the Law of Attraction that I've come across. From basic concepts to scientific reasoning, from personal stories to solid step-by-step practices, this book has it all. There are answers to questions I hadn't even thought to ask. This book will be a fantastic resource for folks, whatever they might wish to create in their lives." Co-Author of the Best-Seller "Freedom at Your Fingertips"
"If ever there was a clear and insightful roadmap to realize the awesome power of the law of attraction, "You Can Attract It" is that book. Frank Mangano and Steve Jones shed new light on a concept that now has become much more accessible for readers to master thanks to this book. I highly recommend it!" "As an avid Law of Attraction student, I have read many books by some of the top LOA teachers. 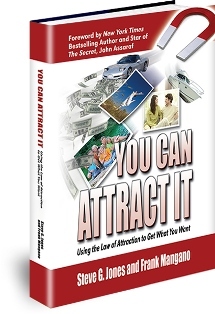 Steve G. Jones and Frank Mangano have put a new twist on this topic with their book, “You Can Attract It”. Both share their own personal story of how the LOA changed their lives and Steve’s background as a hypnotherapist provides great ways towards getting in touch with your subconscious mind to attract what you want. A healthy, physical body is also important when using the LOA as the mind is connected to the body. Frank’s background in Natural Health teaches the reader how your Health plays a big role in attracting what you want, and how you can attract optimal health. If you are an LOA enthusiast or new to this topic, You Can Attract It is a must read." And anything else that you feel you are entitled to have! And that’s a darned good question! There’s no doubt about it; there are a ton of products centered on the Law of Attraction market today. In fact, there are too many. The reason I say “too many” is because the majority of them are providing information that is down right incorrect. And the few that are providing accurate information are falling short on how to execute the information. It’s almost like trying to build a winning team with no coach designing and changing ways to apply the strategies involved in winning. .
That’s what motivation is all about; getting people to do perform at their highest capability. What do you think professional sports would be like if there were no coaches? The strategies to win games have been around for centuries. Great players have been around for centuries. One could almost assume that all you need to do is pair the great players with the winning strategies and you have a winning team. While that’s certainly part of it, there’s a critical element missing. And that’s the great coach. Great players only become great when they are pushed to levels higher than they ever imagined. And that push needs to come from an outside source like a great coach. That’s what a great resource has; accurate information and a winning strategy to apply to apply it from a coach who has the experience of succeeding in helping others to win! Unfortunately, that necessity seems more like a luxury in today’s world of personal development products. That’s Why I Venture To Say That Steve G. Jones and Frank Mangano Are The Best Coaches You Can Have When It Comes To The Law Of Attraction. They’ve learned it. They’ve lived it. They’ve mastered it. They’ve changed their lives with it! And now they can help you so just the same. Make today the day that you Attract the help that you need into your life by investing in this dynamic source of empowerment and capability. And Steve G. Jones and Frank Mangano will show you exactly how! 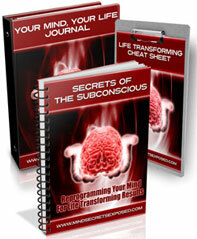 Order You Can Attract It Right Now And Grab The Following 14 Bonuses! Hypnosis creates a state of relaxation and serenity. Once this clean slate is created by removing the stressors and other thoughts that can interfere with achieving goals, the hypnotic process begins to suggest ways to the subconscious on how you can accomplish anything. This creation of abundance may include being involved in a satisfying relationship, achieving a certain level of wealth, or even improving your physical health. Whatever is important to you and will bring abundance to your life can be accomplished through hypnosis. We ALL want more wealth. The good news is that the supply of wealth is unlimited, you just have to attract it into your life. Your actions and your thoughts correspond to the amount of wealth that comes into your life. You want to be wealthy. You deserve to be wealthy. You can be wealthy. You will be wealthy. Perhaps you get stressed during the holidays because you do not have the "perfect" family. Whether you do not have family to spend the holidays with or you are not close to your family, this hypnotherapy session will help you. The Manage Holiday Stress hypnosis CD or MP3 will help you appreciate the little things around you and it will help you relax and enjoy this time of year. Bonus # 8: The World's First Law Of Attraction Music System is here! Introducing the Sonic Secret Law Of Attraction Music System! Simple Step-By-Step Instructions to get yourself geared for success and set in that go-getter mentality. PLUS – You’ll receive a 1 Year Subscription to The Success Achievers Club and Success Code Newsletter – filled with wisdom, insightful articles, tips, free and discounted offers for those interested in possessing Extreme Self-Esteem and maximizing their happiness, success, wealth, and personal effectiveness. Imagine being able to achieve more Success Automatically, Lose Weight Automatically and keep it off Permanently, Improve your Health Automatically, have more Energy and Motivation...Automatically! 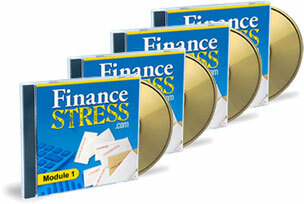 This amazing 3 week e-course will show you how! 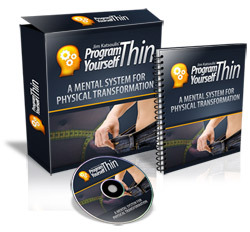 New Live Program Yourself Thin course begins soon. Design your dream body! Most weight loss programs make the mistake of focusing too much on what to do and not enough on why you want to do it. So many people struggle with motivation, because they don't have a compelling goal. But, when you take some time and create a crystal clear idea of what you want to look like and how you want to feel, then you unleash a very powerful force within yourself that pulls you towards your new body. Yes! I am ready to invest in my future right now. Please send me the bookYou Can Attract It plus all 14 Bonuses for only $37!